Starting to learn Shurikenjutsu is very exciting. It can also be very competitive, relaxing, and sometimes frustrating as well. 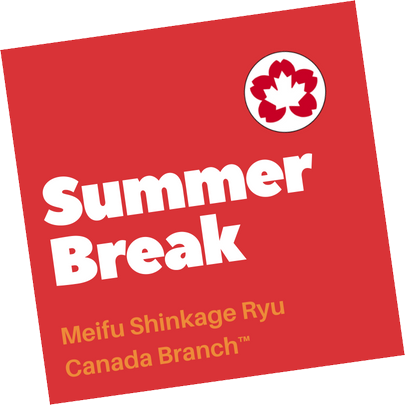 When I started to learn Meifu Shinkage Ryu in 2014, I already had quite some experience with Shurikenjutsu, however, being the only student in Canada and sharing this path with Darren Thomas, it was difficult to adjust and transform our skills to become “MSR-style”. Hattie reports more than 180 factors that effect learning in various positive and negative ways. The effect sizes are constantly changing, based on new evidence that Hattie finds. Below I choose 7 that not only have a extremely high impact on learning, they are also applicable to teaching martial arts. Teacher estimates of achievement (1.62 effect size) reflects the accuracy of educators’ knowledge of students in their classes. This means that every student has a different level of performance. One common problem is that teachers often overestimates the achievement of their students, mixing the true level of performance with the beliefs the teachers has on the ability of the students. Collective Teacher Efficacy (1.57 effect size) is the collective belief of teachers in their ability to positively affect students. All students can learn, but not all students will have the same learning curve. Self-grading (1.33 effect size) reflects the fact that students are pretty good at knowing what grade they will get on their report card before they read it. The Jigsaw method of learning (1.2 effect size) assists students in creating their own knowledge by working together using different pieces of the “puzzle”. Educators provide support to ensure each student is successful. Feedback (1.13 effect size) is seen as the highest influence. Hattie has made clear that ‘feedback’ includes telling students what they have done well (positive reinforcement), and what they need to do to improve (corrective work, targets etc), but it also includes clarifying goals. This means that giving students assessment criteria for example would be included in ‘feedback’. This may seem odd, but high quality feedback is always given against explicit criteria, and so these would be included in ‘feedback’ experiments. As well as feedback on the task Hattie believes that students can get feedback on the processes they have used to complete the task, and on their ability to self-regulate their own learning. All these have the capacity to increase achievement. Feedback on the ‘self’ such as ‘well done you are good at this’ is not helpful. The feedback must be informative rather than evaluative. Prior Ability (1.04 effect size) describes not only the prior skill development but also the ability of a student to reflect on the learning process, cognitive building blocks (intelligence), as well as character traits such as determination, persistence, and motivation. Instructional Quality (1.00 effect size) as seen by the students. Yes, the student’s view of the teaching quality is essential. How does the above impact your learning as a martial artist? Before addressing this question, I would like to take care of a the misconception that many students have about learning and progress: “the amount of effort a student puts into studying”. Effort by itself only describes the physical component of “being there” and “doing”. If a student puts a high amount of effort into learning a skill using an inefficient learning method and without measuring the impact on learning, this student may be learning a particular skill without much progression. Such a student may be “new to the skill for 10 years in a row”. However, pair “effort” with any of the above concepts, and all students can succeed. Let’s look into this deeper. In 2015, I developed a strategy I call “The Daily 50”. This strategy mainly assists in creating a new habit (growth mindset), replacing a less effective habit. 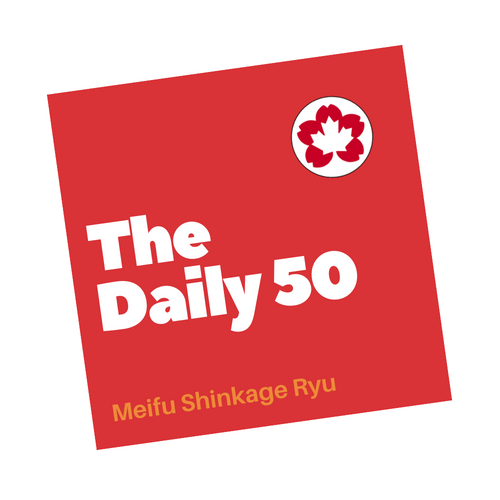 “The Daily 50” is about scheduling 20 minutes every day for Meifu Shinkage Ryu to practice one skill. Focus only on that skill, and pair with with self-grading. For example, perform 50 Shomen-uchi thrusts with Bo-Shuriken, and after each set of 5 thrusts, reflect on what the Bo-shuriken are “telling you” (angle, penetration, sound, grouping) and on how you feel (that one thrust felt really good, do you have any tension in your body, balance, relaxation). But there is more to “The Daily 50”. In fact, Hattie’s research validated the need for additional components. Let’s look into these in relation to the impact on your learning. Your knowledge of your achievement. Maybe it has taken you quite some time to get to a certain learning skill. Celebrate where you are and your prior accomplishments. Accelerating or exploring new skills your learning too early (.68 effect size) has limited effect on your overall development. Yes, it is fun to explore new skills and develop new concepts, however, what is much more important is to continue where you “left off”. Jigsaw method of knowledge creation. Learning along is a great mindfulness exercise, however, sharing your journey with others who are of the same, higher or lower skill development will provide with a much better understanding of what you are doing. For instance, the tenouchi (grip) is imperative when it comes to influencing the flight path of the Bo-shuriken, therefore, studying the anatomy of your hand together with another student studying their hand will help any student to better understand how to grip the Bo-shuriken “their way”. Prior Ability. Are you open to reflect on your skill, or do you get anxious or frustrated when mistakes are made? Do you give up or are you persistent? One support I use for my own learning is to make a very brief statement about how well my “daily 50” went today (one sentence), pairing this with a goal for tomorrow. Example: “Today I noticed that during Metsubushi, the fundo was aimed too high. The goal for tomorrow is to focus the aim”. This is a great way to use prior ability to help the learning progress. One factor I would like to make stand out: Instructional Quality. How are you learning and who are you learning with and from? A common phenomenon in Martial Arts is that people break away from their teacher too early to continue alone. If your skills are developed up to a certain level of proficiency, you require the assistance of what Vygotsky called “A More Knowledgeable Other”. This other person is a teacher who’s skill development is at a much higher level than yours. This teacher provides feedback, beliefs in your skill, helps you grade how you are doing, and tailors the instruction to your needs. There is one more essential component that ensures the quality of instruction: the continued development of your teacher. How often does your teacher visit his teacher? Does your teacher actually visit Japan to further study not only the martial skill, but also the culture, habits and language? How does your teacher reflect on his/her own development? Does your teacher constantly want to invent new skills? Is your teacher ignoring advice from more knowledgeable others? Develop your basics (kihon) first before you start to learn fancy skills. I hope that the above helps any student reflect on their own martial arts learning path. Opinions differ, and the above is my opinion supported by current research. Training this week was all solo. With travel schedules, we have not had an opportunity to come together. Nevertheless, each us of continues to practice. Chris focused on shomenuchi from 2 ken, as well as gyaku-uchi, dosoku-uchi, and za-uchi from 1.5 ken. Lance shared a video with a few questions about his gyuaku-uchi, and he came up with a very interesting combination of what looks like dosoku-uchi and gyaku-uchi in one technique. Darren continues to be working on kusari fundo kata for shodan. We have some exciting training scheduled, some of it will be shared as they occur. On October 3 and 4th, an MSR seminar took place in Winnipeg, Manitoba. Otsuka-Sensei provided detailed instruction on many skills from Meifu Shinkage-ryu. Lance Fleming, passed Yonkyu grading (4th Kyu). Start working on Sankyu waza. Darren Thomas, passed Sankyu grading (3rd Kyu). Start working on Nikyu waza. Next examination eligibility for Lance and Darren is at the end of January 2016. For Chris, next examination eligibility is at the end of March 2016.